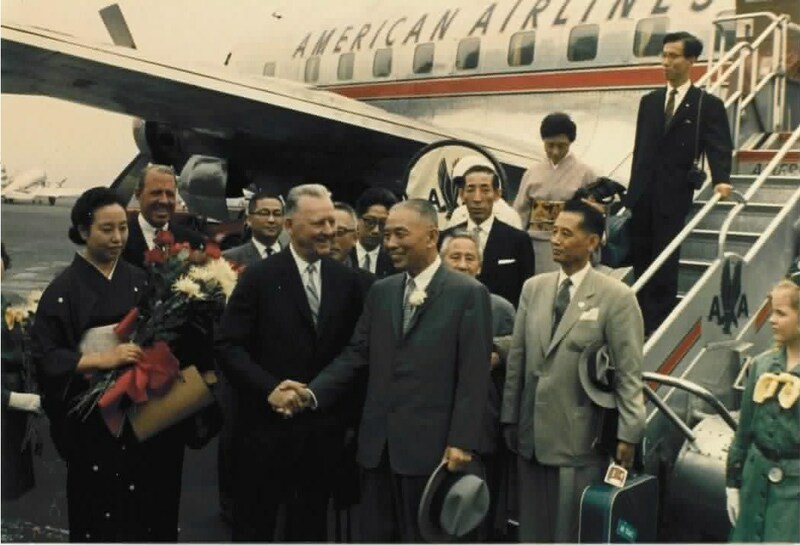 Mayor John B. Hynes greets Mayor Gizo Takayama and the delegation from Kyoto at Logan Airport at the start of a five-day “Salute to Kyoto” held at the Sheraton Plaza Hotel. 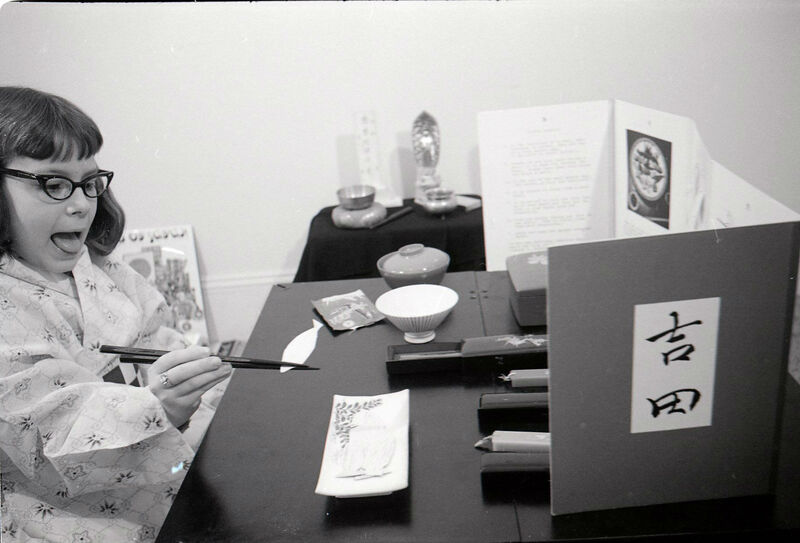 The Kyoto delegation brought a tea house with them as a gift to the City of Boston. 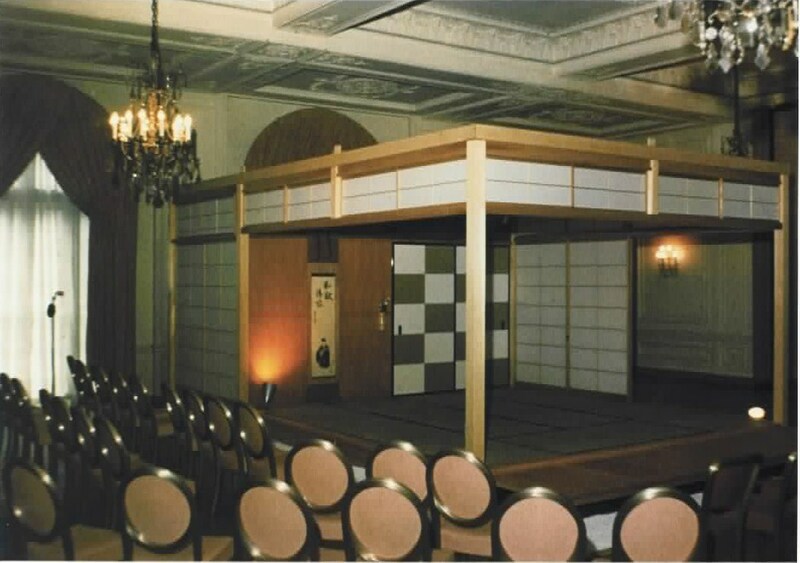 Urasenke Tea Master Soshitsu Sen set up the house inside the hotel ballroom, where he conducted a tea ceremony. The Museum had been loaning natural history specimens and objects to teachers since its very beginning, but with a grant from the US Department of Education it began to develop multimedia kits for use in classrooms. The MATCh kits could also be rented from the Museum by families for use at home. 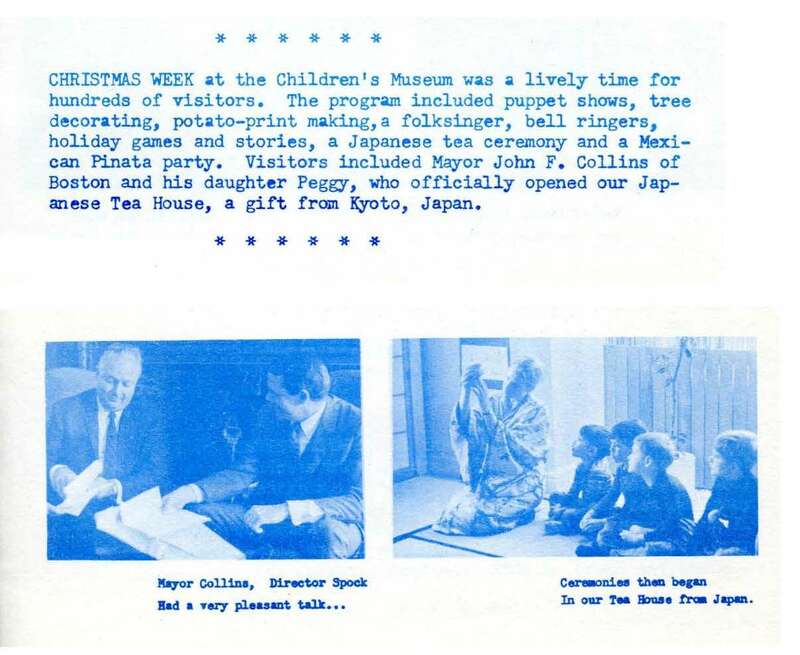 The tea house, which the City of Kyoto had given to Boston in 1959, was taken out of storage and installed at Boston Children’s Museum in Jamaica Plain over Christmas Week 1966, with a ceremony attended by Boston Mayor John Collins. 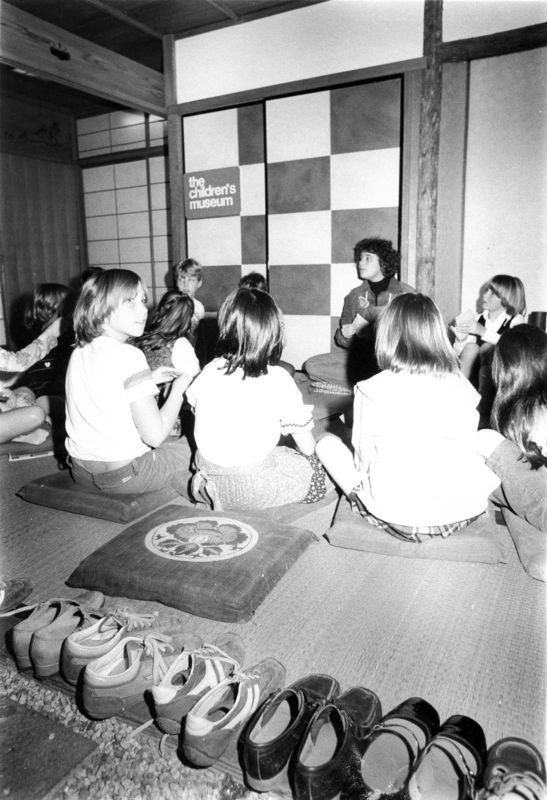 At first, the Museum used the tea house only for special programs like tea ceremonies and school group visits. However, it became so popular that the staff wanted to open the exhibit to all visitors. 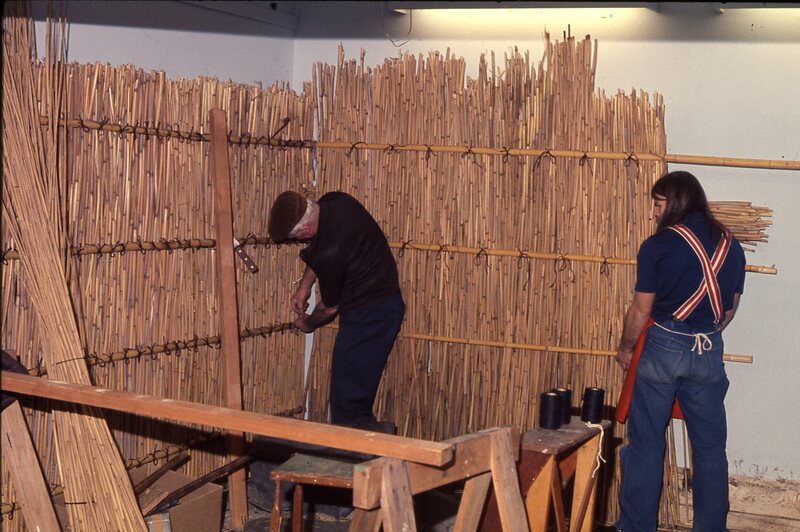 In the early 1970s, in order to make the exhibit more like an actual home and to depict Japanese life more accurately, staff members undertook research, traveled to Japan, and collected materials to use in Japanese celebrations and programs about daily life. 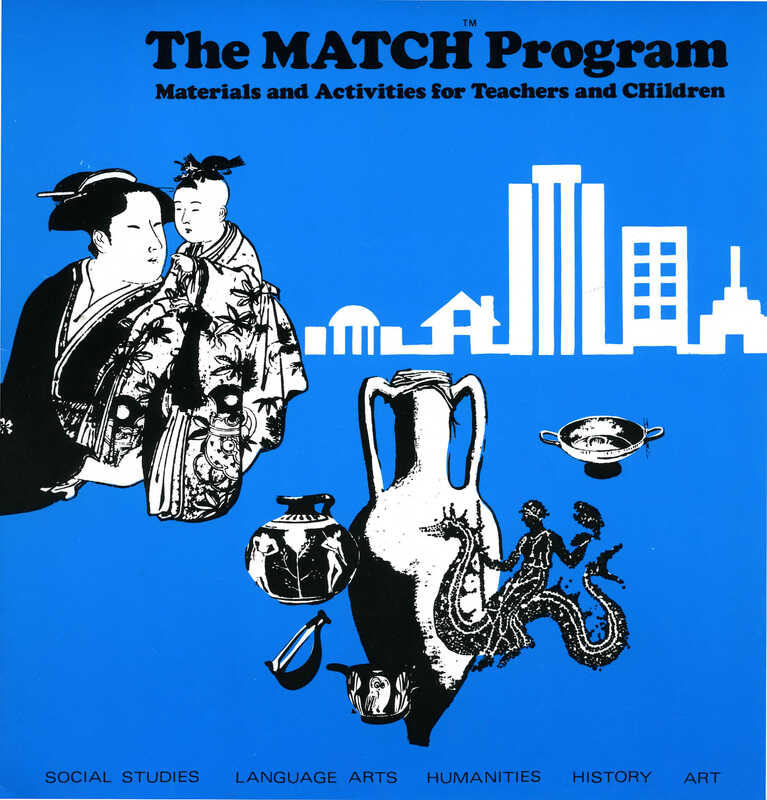 The Museum continued to plan and present programming about Japan for all audiences. 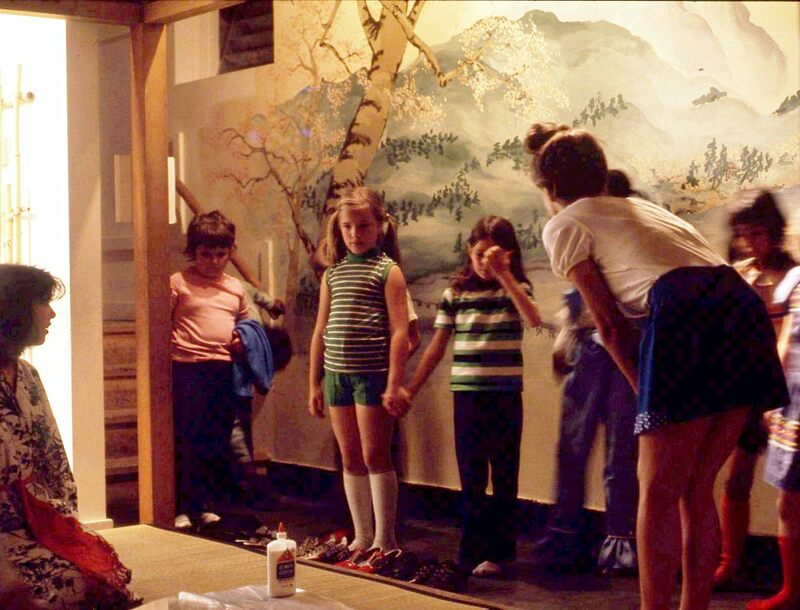 School groups continued to come and visit The Japanese Home exhibit, while the exhibit was also open for people to explore on their own. After several years of concentrating on the interior space and its programming, staff turned to the garden to make it more like a real Japanese garden. It needed a real bamboo fence.